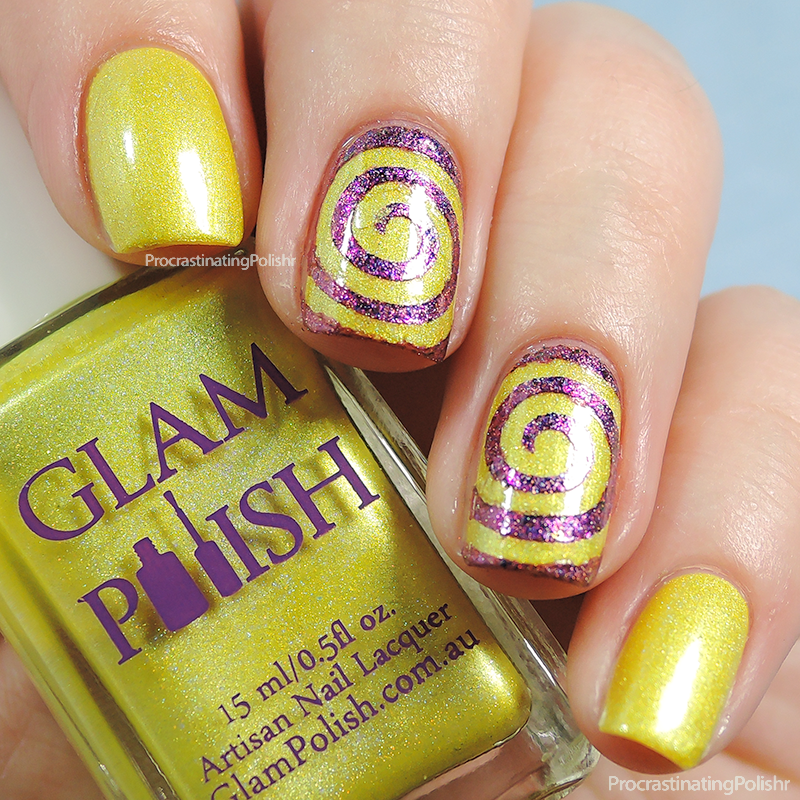 Day 3 of the challenge is yellow, one of my favourite polish colours! The yellow of choice today is Glam Polish Tweety Pie, from the June 2014 What's In-die Box. It's a sensational yellow that I'll be heartbroken over when I run out. 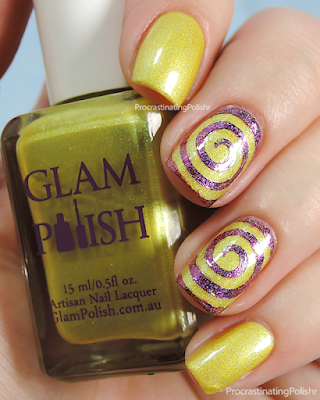 I did some spiral nail art using some spiral vinyls from Lou it Yourself and Grace-full Nail Polish Pinktopia, which turned out quite purple when sponged over the yellow. 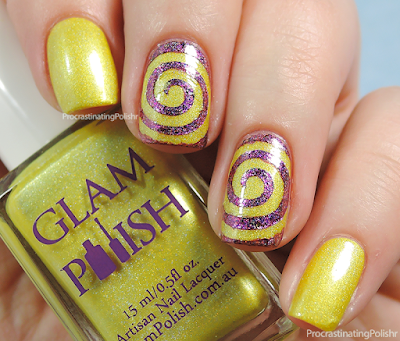 I don't know what it is with me and vinyls but I can never get them to sit right on my nails, they won't conform to my curves. Any tips?